These are just a few printed pieces I enjoyed working on. If you have questions or wish to know more detail, please ask. 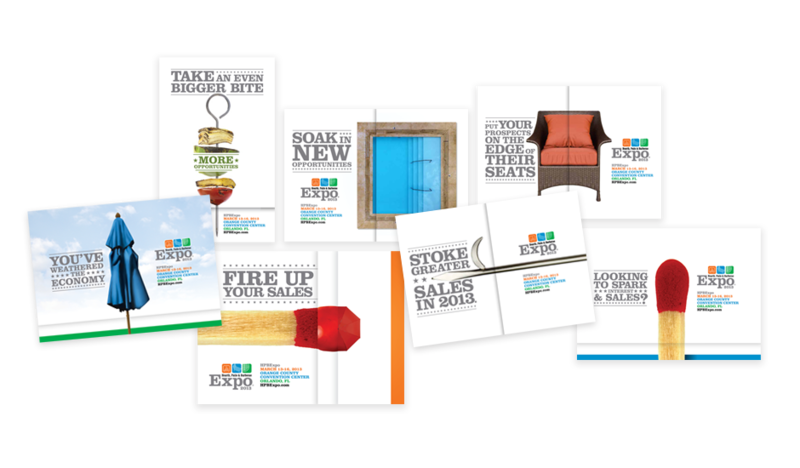 Micro-targeted direct mail campaign for the 2013 HBPExpo. This piece won a 2013 Addy Award. 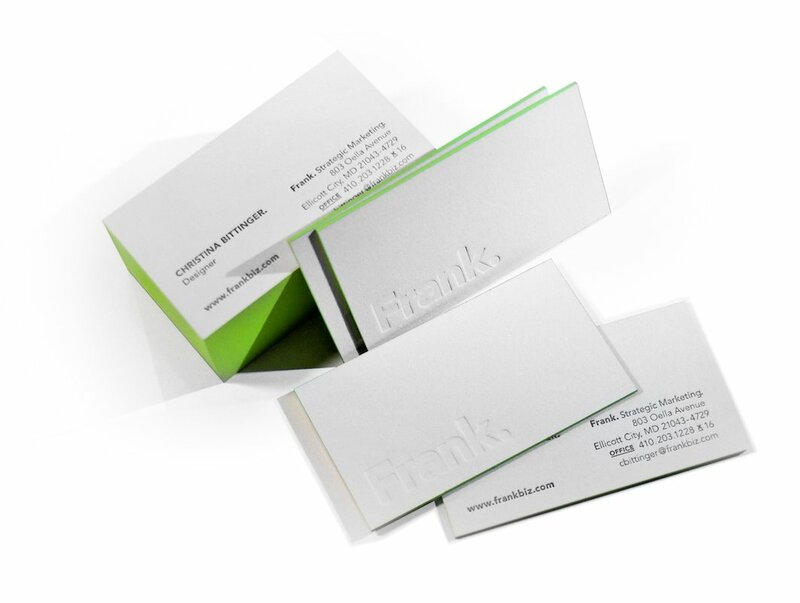 Frank Strategic Marketing letterpress business card. 2013 Addy award winner. Preservation Magazine redesign/rebrand. 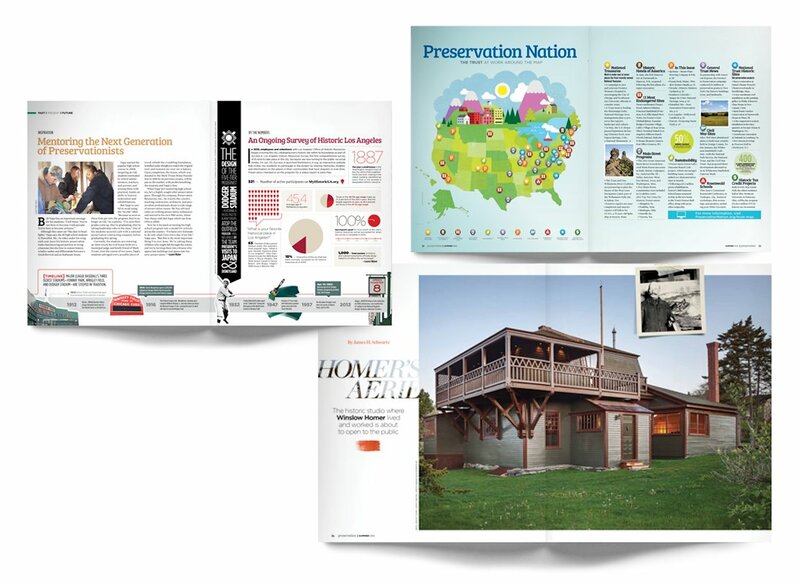 We created a new magazine structure, grid, and design to better engage the National Trust for Historic Preservation member publication. 2012 Annual Report for the YMCA of the Greater Washington DC area. 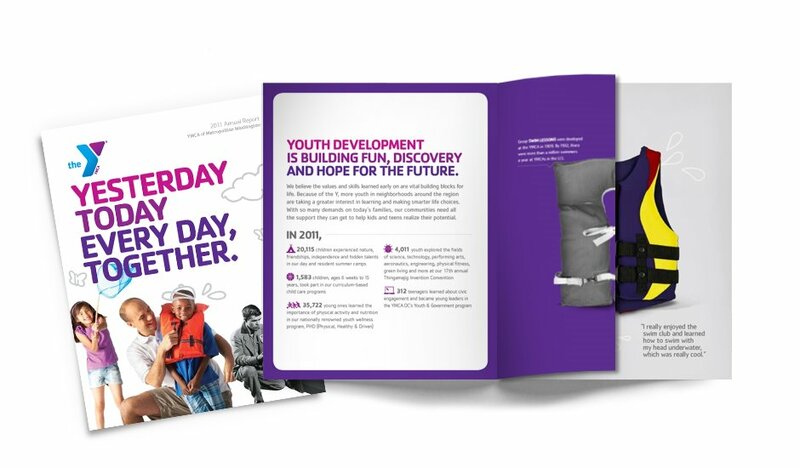 The concept was capturing the legacy established over the past 160 years, and the future of the Y. 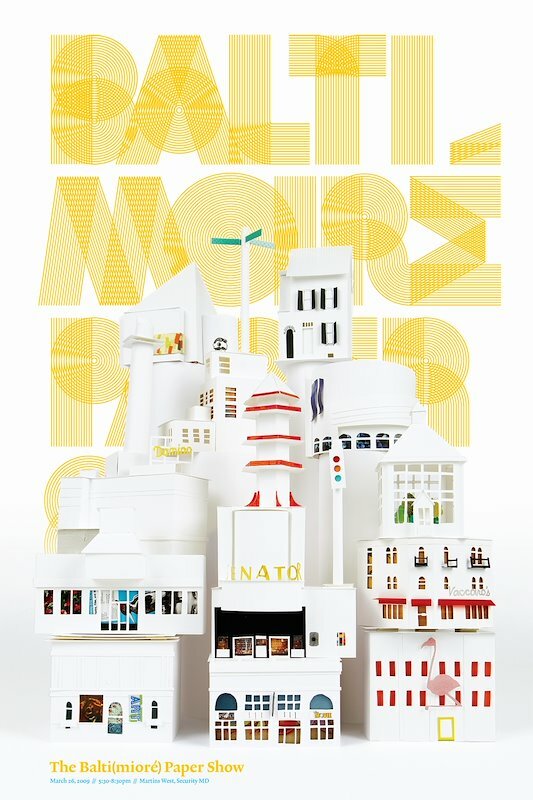 A poster for the Production Club of Baltimore Paper Show. The font was designed by Luke Williams. I hand made the Baltimore city landmarks and photographed them with Luke Williams. 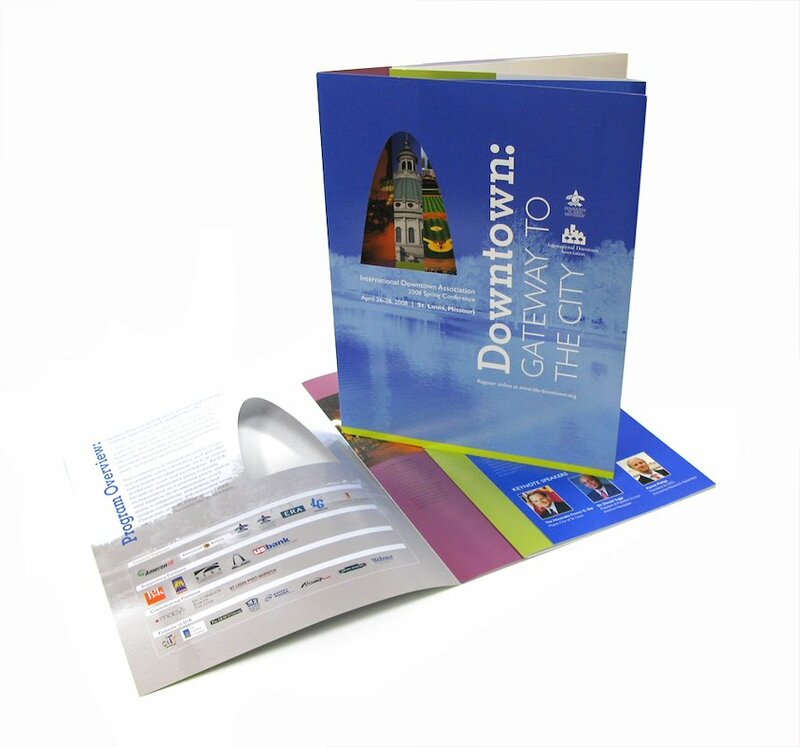 Special finishes includes a spot florescent ink and fold (into a booklet). This was a direct mail piece. 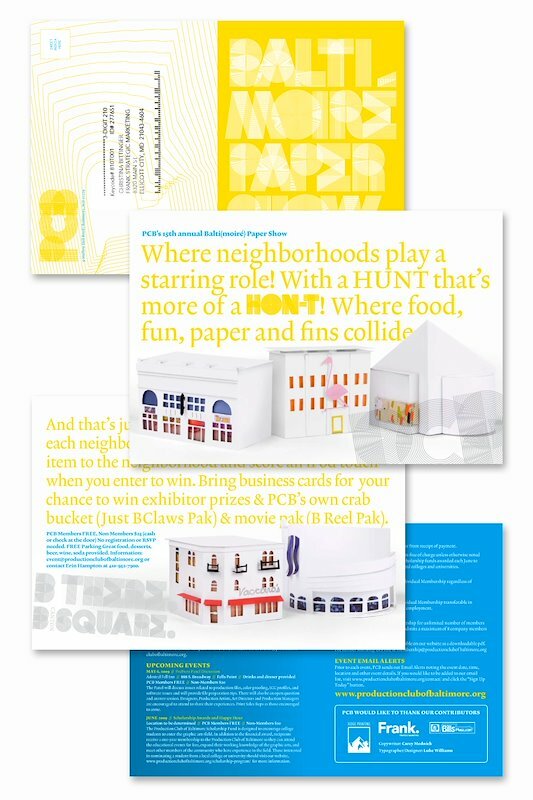 This is the back of the PCB paper show poster. 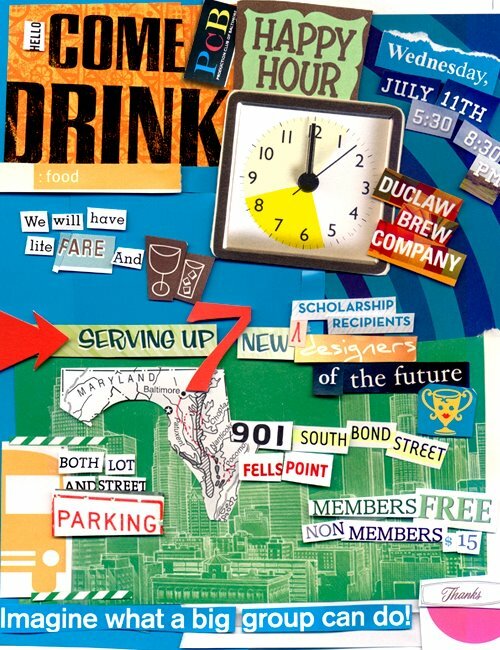 Once the poster was folded down into a booklet, the spreads explained the theme of the event and PCB membership information. 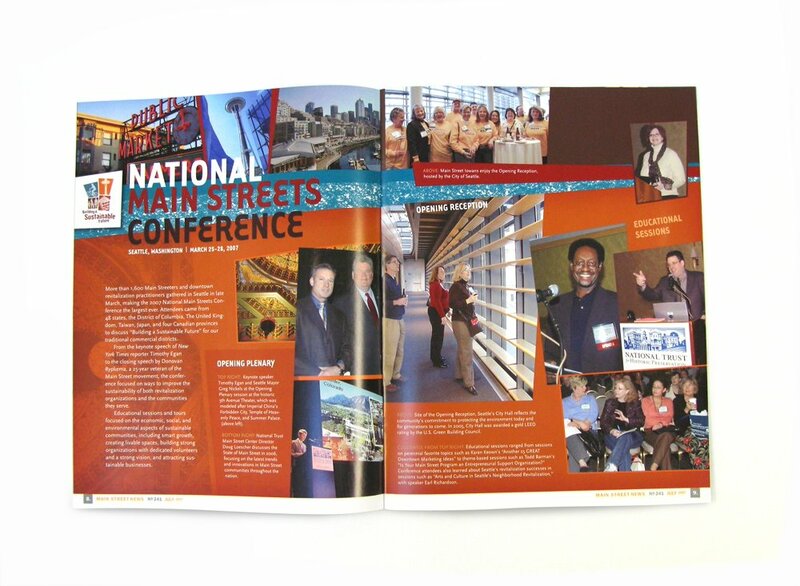 6 panel brochure for the International Downtown Association Conference in St. Louis. The famous arch is dye cut on the cover allowing 2 short folds to reveal local attractions. This was a direct mail piece. 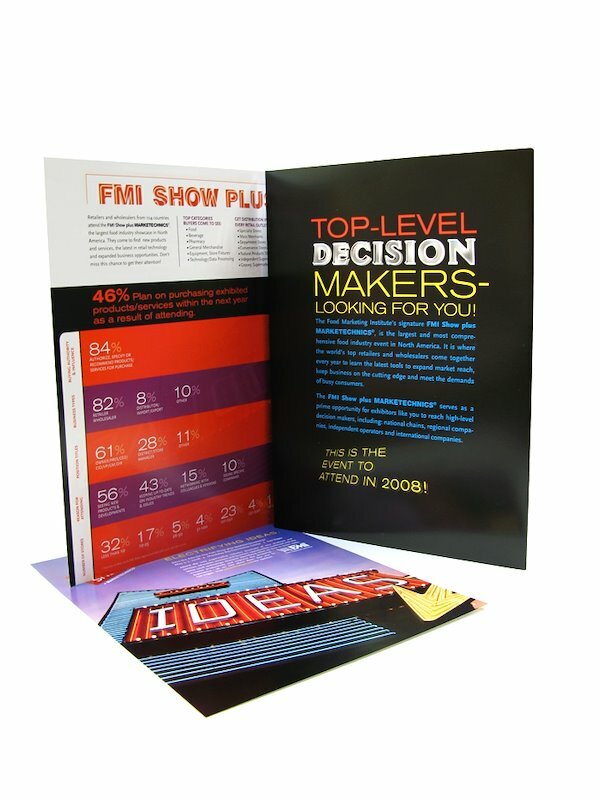 Food Market Institute Exhibitor Prospectus folder. Inside spread. 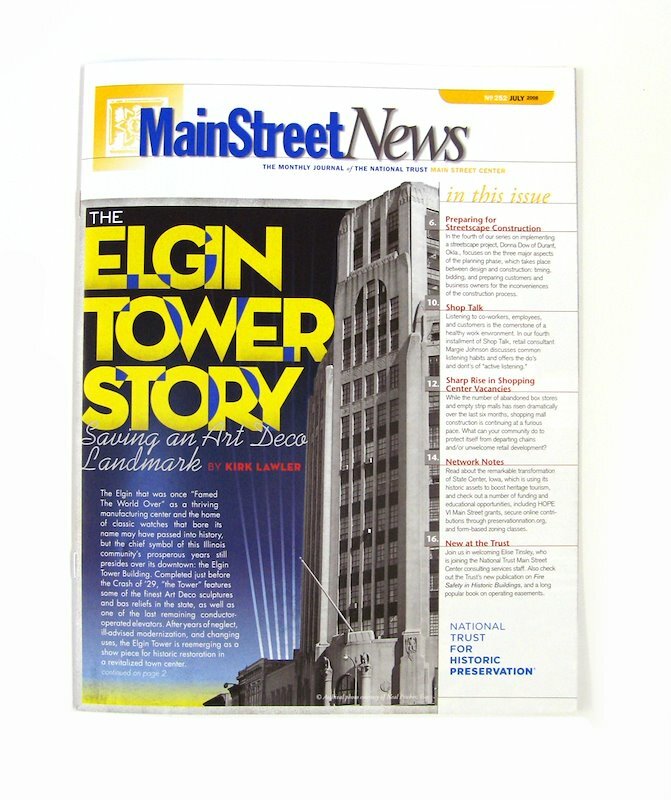 National Trust for Historic Preservation, Main Street Newsletter cover. 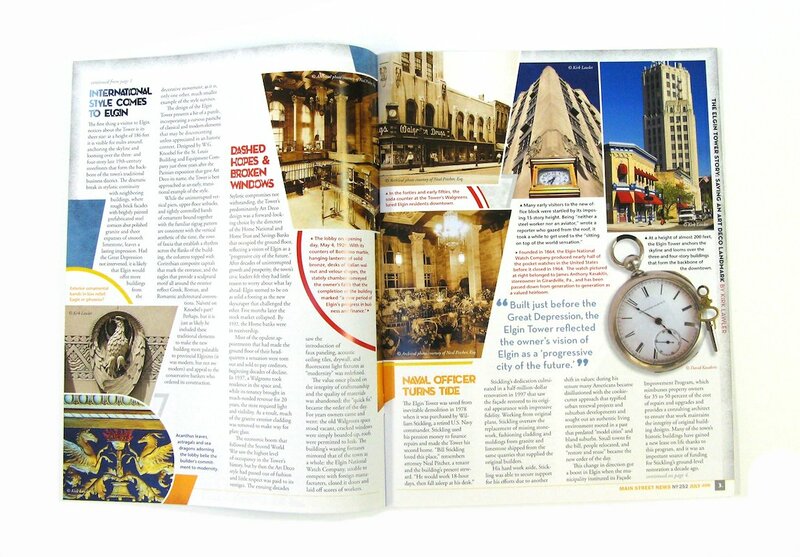 National Trust for Historic Preservation, Main Street Newsletter spread. Production Club of Baltimore Ad for a scholarship happy hour. This is a poster and EDM (electronic direct mail) piece.